Jim Beard is a performer, writer and producer who has had long standing working relationships with artists like Wayne Shorter, John McLaughlin, Jon Herington, Mike Stern, Pat Metheny and Steely Dan. As a teenager, he studied arranging with Don Sebesky and jazz piano with Roland Hanna and also studied privately with George Shearing for several years. 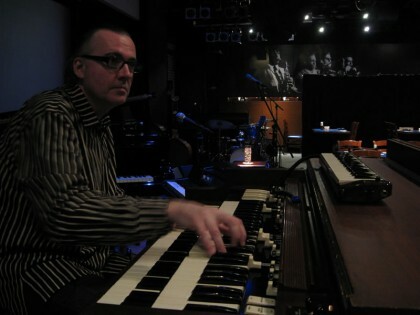 Jim moved to New York in 1985 and quickly established himself in the contemporary jazz community. Within a year of arriving, he became a touring member of John McLaughlin’s Mahavishnu Orchestra , started working relationships with Bill Evans and Mike Stern and had recorded with Dave Liebman. Jim has released five solo recordings: “Song of the Sun” in 1990 that featured Wayne Shorter and Michael Brecker. “Lost at the Carnival” in 1995. “Truly” in 1997, “Advocate” in 2000 and “Revolutions” in 2008. His music productions and compositions have been nominated for seven Grammy awards and Jim won a Grammy in 2007 as a featured performer on ‘Some Skunk Funk’ (Randy and Michael Brecker).